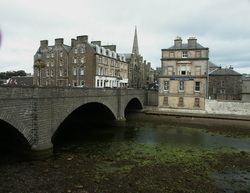 Wick is home to Old Pulteney, but doesn't have a Whisky Shop. Nearest Shop - JA Mackay, Thurso (21 miles). The name is thought to come from the Norse word for bay - vik - many similar examples in the Shetlands - eg Lerwick, Haroldswick). Wick is the end of the rail line from Inverness - Thurso is further North, but trains go there first before reversing to Wick. 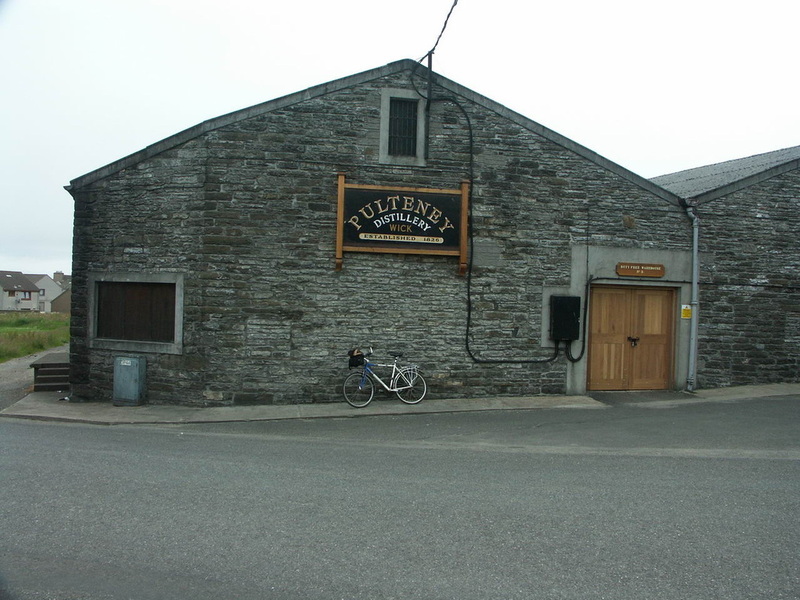 It is also home to the most Northerly Distillery on the Mainland, Old Pulteney (though that will soon change with the construction of Wolfburn in Thurso). 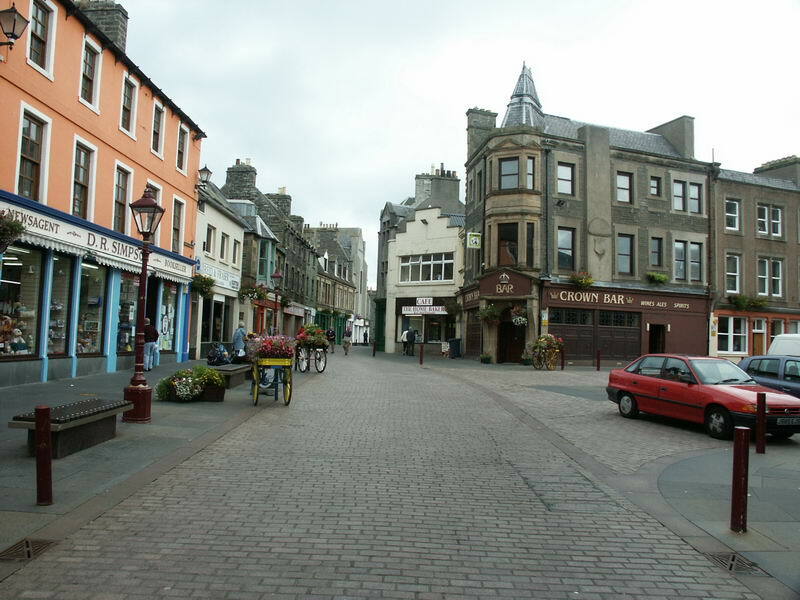 The Distillery's name comes from the district of Pulteneytown, once separate from Wick. 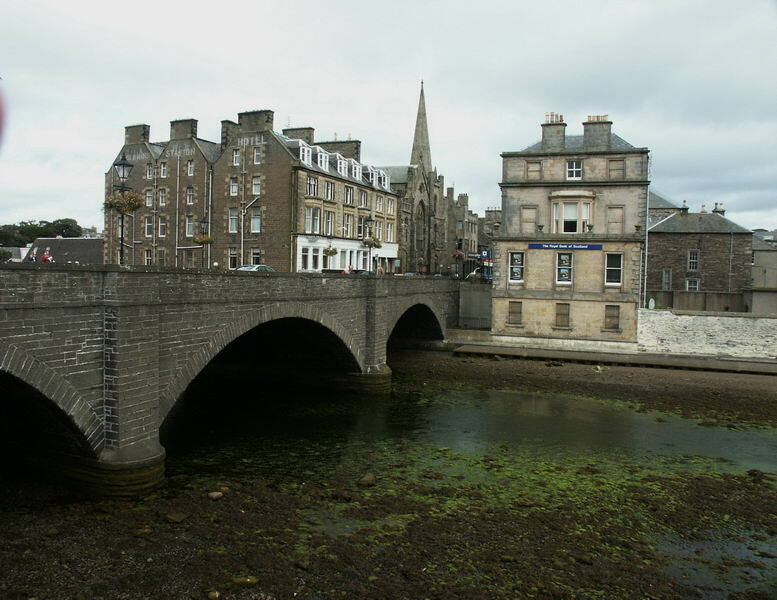 I have a recollection of visiting Wick briefly in 1998, but no photographic record - maybe I'd run out of film in those prehistoric pre-digital days! 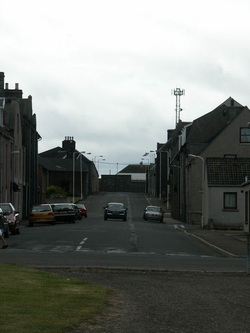 Ebenezer Place, Wick is the shortest street in the world. Close to Wick - John O'Groats and the less famous but far more spectacular Duncansby Head. National Cycle Route 1 avoids Wick, probably because the only route from the South is via the A9/A99 - and is very hilly! 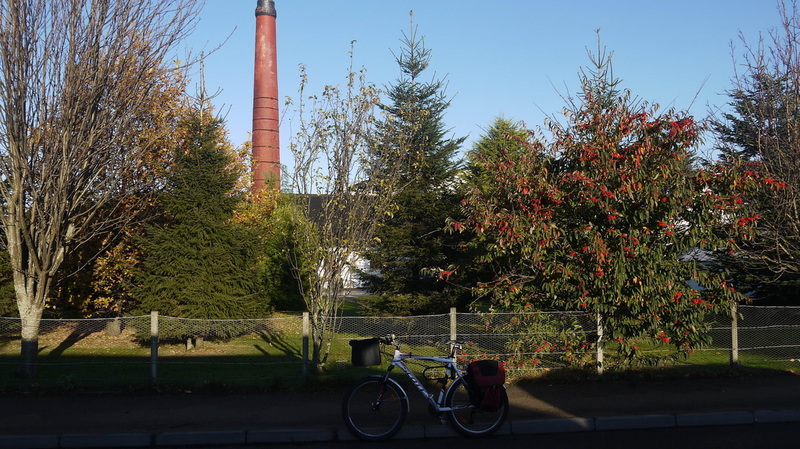 Local cycle routes around here are on road, but this far North even the trunk roads aren't too busy. Wick (WCK) rail station with level access to its one terminal platform, there are 4 trains a day (only one on Sundays) to and from Inverness. Live Train Times. Wick also has an airport. Ferries to the Orkneys from Gills Bay and John O'Groats. Very friendly welcome - tea and cakes - after all there was nowhere to buy anything late on a Sunday afternoon. About 12 miles South of Wick. 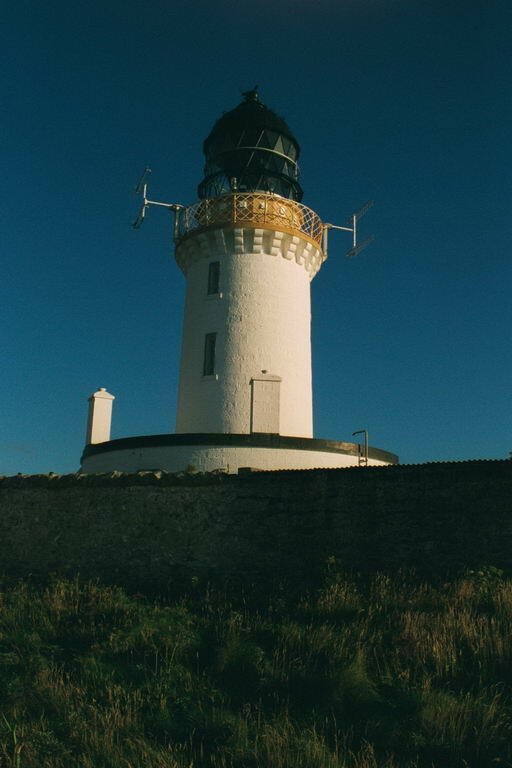 Also stayed here in July 2005, having finally got to Wick. Friendly and reasonably priced. For other accommodation - see Undiscovered Scotland and the Caithness Business Index Hotels & Inns and Guest Houses and B&Bs pages. The Alexander Bain Wetherspoon pub. 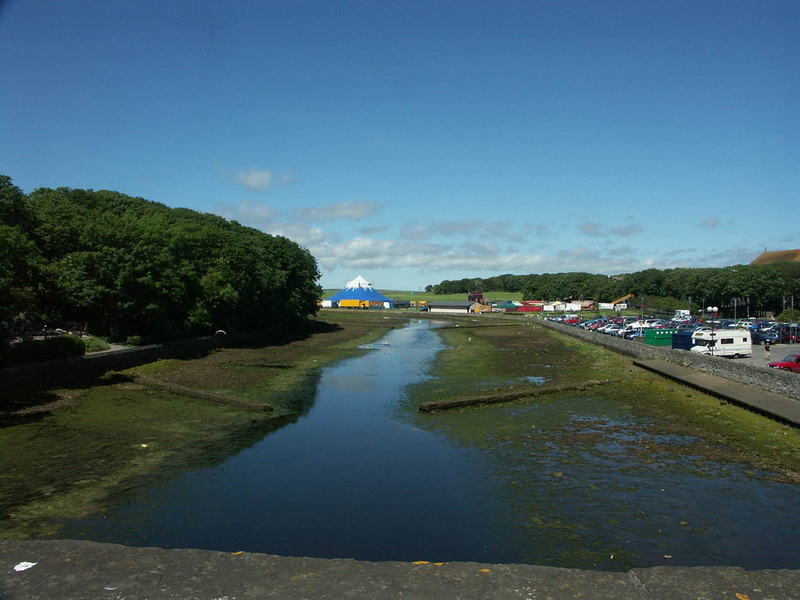 See the Undiscovered Scotland Eating and Drinking page and the Caithness Business Index.